Speakers are front and center in our January 2019 mix of Top Picks — from a full-on audiophile-approved 5.1 speaker system to a Dolby Atmos-enabled soundbar system that provides an easy path to immersive surround sound plus two distinctly different takes on the ever-popular wireless speaker. Rounding things out is an impressive (and long overdue) update of the original Sonos Connect:Amp and an AVR that nabbed Top Value Pick status for packing an insane level of performance and features into a $700 piece of gear. Onkyo has outdone itself with a versatile nine-channel AVR that delivers an impressive blend of performance and features at a price that all but assured its status as a Sound & Vision Top Value Pick. With ample processing power to accommodate a DTS:X or Dolby Atmos 7.1.2 setup, the TX-NR787 is capable of delivering impressively rich, powerful sound in rooms as big as 2,000 square feet as confirmed by its THX Select certification. Its robust feature set, which includes ready access to a wealth of wireless streaming options and features like AccuEQ Advance room calibration, will more than satisfy most listeners. 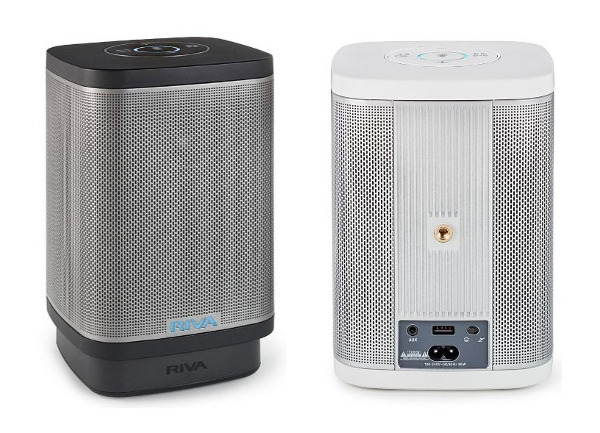 The Riva Concert is a standout in the ever-expanding world of voice-enabled smart speakers. It’s splash-resistant, can play for up to 15 hours on a single charge, and is packed with features. In addition to Alexa voice control, it supports streaming via AirPlay, DLNA, and Bluetooth and delivers sound that is well-balanced with bass output that will surprise you. All that from a speaker that stands 7 inches tall and costs less than $200.